This product is for external use only. Dilute before every use and avoid use on eyes. Protect from heat and light. This rose oil bottle comes encased in a colourful card box packaging. The material of the bottle is glass, so absolutely it cannot be our travel companion. This bottle is brown in colour, has a pink open cap and is secured with an additional plastic lid, hence no spillage. To dispense the product, you need to make a small hole in the plastic lid. The bottle is sturdy and translucent, so to get the oil from inside you need to jerk it well. Due to this reason, still now I am unable to get one drop at a time, it’s always two or three! Anyway, I am fine with it. I bought this oil in 2014, have been using it sparingly and it is going to expire this year. 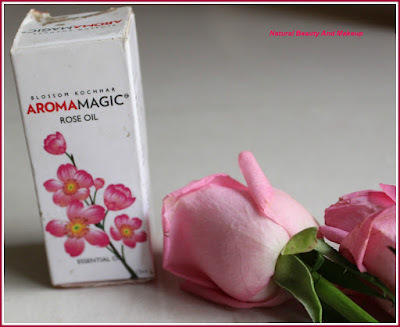 Now, Aroma Magic has revamped the design of it and it looks more eye-candy! 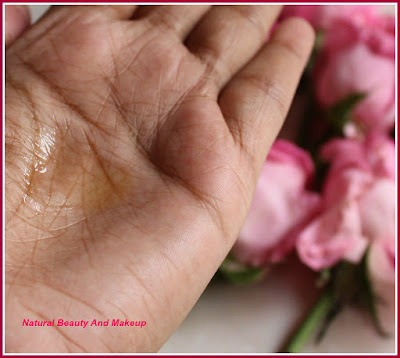 The rose oil is transparent and is runny too! It has a divine rose fragrance, which I love to the core. One drop is enough to release its aroma around you, so soothing and so refreshing. Rose essential oils have that ability to lift up your mood and it certainly enhances mine! As I stated, I have been using it for almost three years (that’s a long time), curse my absentmindedness problem! Honestly saying, it can give you much healthier look if you use it on a regular basis, not like me! When I bought this oil, I used it almost with every kind of things like creams, lotions, water for taking aroma-bath and that also every day. But after few days, I forgot about it totally and just discovered it last year again; found it was lying on my beauty stash. I checked the expiry date and started using it again. So, here I am sharing my experience with it today for all of you. Rose oil brightens skin complexion by increasing circulation in the skin. It replenishes dry skin, rejuvenates skin tone, thus improving the skin texture. 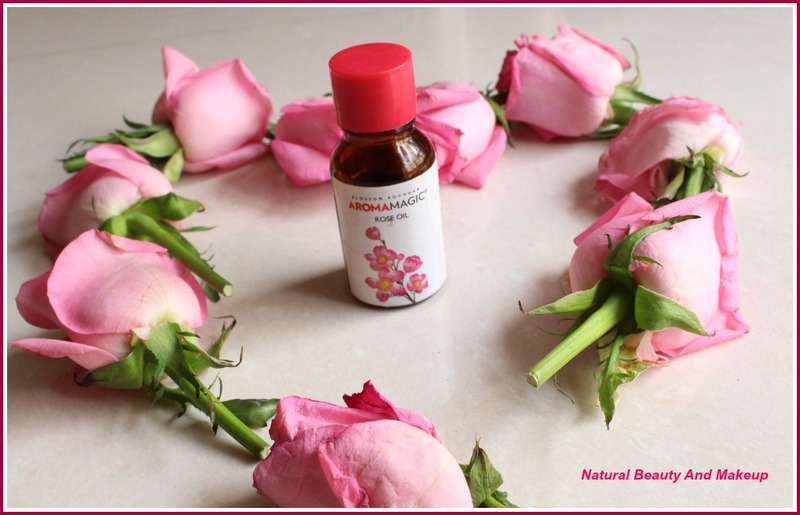 Rose oil has antibacterial and anti-inflammatory properties. It soothes burns, skin irritations, infections and is soothing for sensitive skin also. 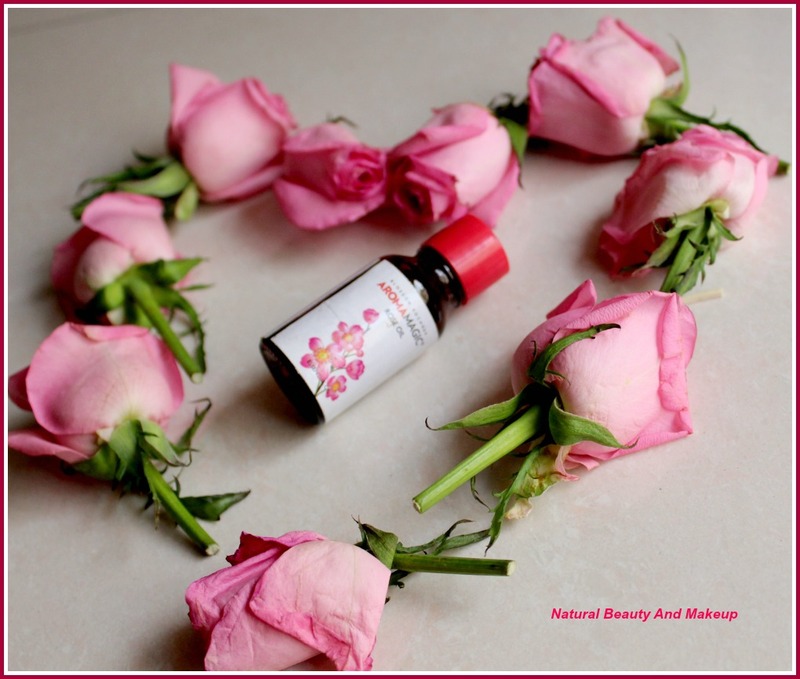 Rose oil can help in treating acne problems and other skin woes. Rose oil can be used as an aromatherapy in baths, which help in relaxing the senses of an individual. 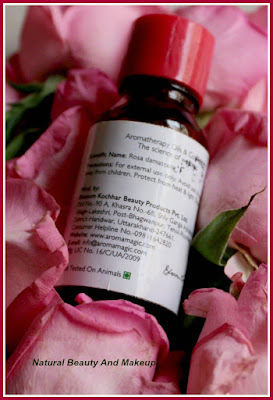 Rose oil has astringent properties, which help in tightening the skin pores. It is also a powerful antioxidant, that helps protect skin cells from damages like sunburn, ageing etc. As an essential oil, it is always advisable to use it with any carrier oil or cream. So, I follow this rule strictly and never apply it alone on my skin. Usually, I mix only two drops of Rose oil with my night cream followed by a good face massage. When applied, it gives a warm sensation to the skin but mild one. It neither broke me out nor has irritated my skin ever. It has certainly reduced my visible skin blemishes and also makes skin look much healthy & radiant. Moreover, it doesn’t make my skin much oily when applied, tested in summers too! I love the smell of roses but those who have a sensitive nose, its strong smell might bother them. As Facial/ Body Oil- I mix one to two drops of Rose EO with Almond oil, then I massage my face or body with it. Makes my skin nourished, conditioned and evens out the skin. As Facial/Body Spray- Sometimes, I mix two to three drops of rose oil with water and spray on my face and body directly after my workout. It instantly refreshes my skin and it also helps in keeping body odour (Sweaty smell) away! 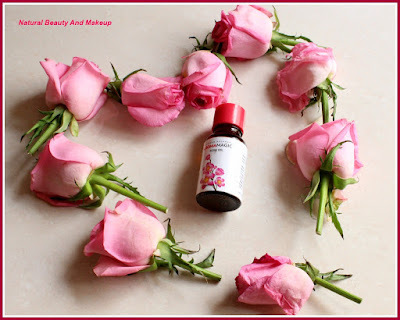 As Foot cream/lotion- I also use this Rose oil in my homemade foot lotion (Read the detailed DIY here) and sometimes with readymade foot creams too. Aroma Bath- To have that luxurious feel and aromatherapy, on weekends I love to take aroma bath. And for this, I mix 2/3 drops of Rose oil in my bath water. Its aroma instantly disperses into the air provides a soothing effect on skin and makes you feel like you are in a rose garden :D It calms and rejuvenates our senses. In Face packs and Masks- This is something I do intentionally to get the full benefit of this oil. 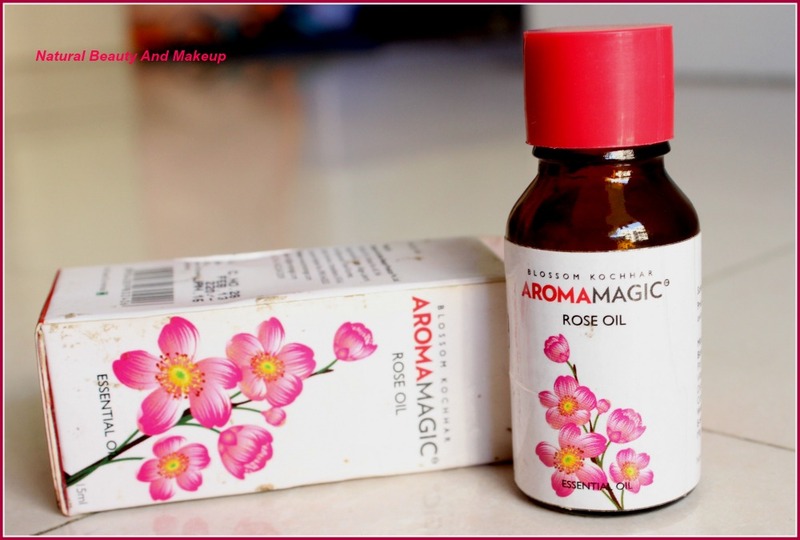 Just mix one drop of this rose oil into any of complexion glowing face packs or masks. This essential oil rehydrates and tones the skin, making skin much tighter, softer and glowing. Coming to the con part, I wish it would come in a plastic bottle with a separate plastic stopper! 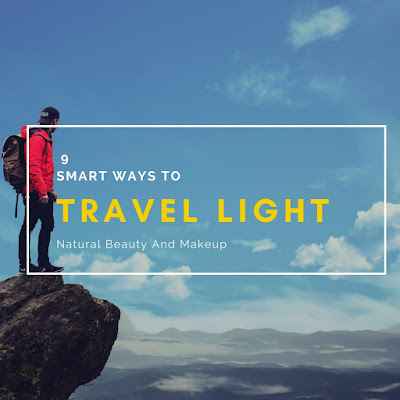 I think in this way, there will be no need to jerk or shake the bottle to get the product out and will be travel-friendly too. For me, this is something which I will repurchase time and again. Not because of its aroma, but it has all the goodness which can protect and nourish my skin. 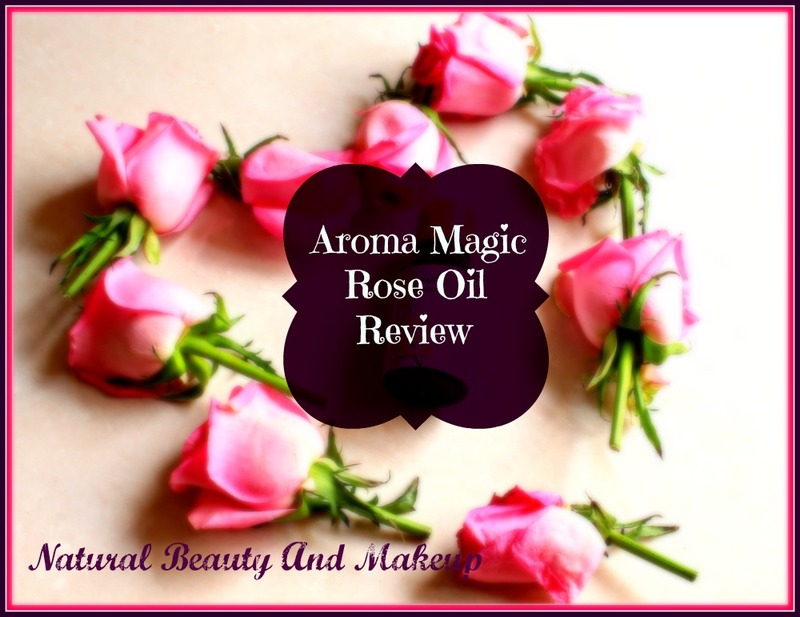 So, I would highly recommend this ROSE ESSENTIAL OIL to all the skincare addicts. Hope, you would find this review helpful. Have You Ever Tried Blossom Kochhar Aroma Magic Rose Essential Oil? If Yes, Please Share Your Experience With Me In The Comment Section Below. I have tried aroma magic lemon essential oil (http://beautyandlifestylemantra.blogspot.in/2015/09/review-aroma-magic-lemon-oil.html) that was quite good. This rose essential oil also sounds very impressive. Next time I will go for it. Aroma Magic Rose Essential Oil. Glad, Mahima you stopped by and liked this post :) Thank you. Anamika I loved your detailed post.It is super awesome.I have never used essential oils in my daily beauty regime but lately I have been reading a lot of positive reviews of people who have been using rose essential oil on their skin daily.Will definitely try it out.Lovely pictures with roses.Amazing post. Same here Hanna, I am a die hard fan of EOs :) Thanks dear. 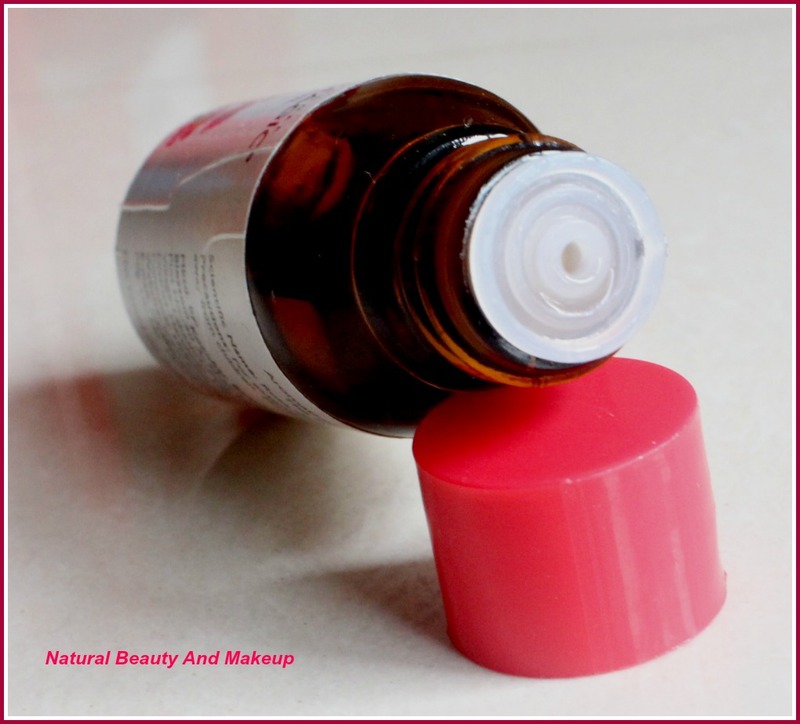 Wow I have learnt to use essential oils through this blog post! thankyou so much! Aww! Glad Zoe, you found this post useful :) Thank you. I've never tried essential oils from Blossom Kochhar. This one sounds really good. Thank you Sangeeta :) Yes, Aroma magic EOs are really great.